﻿ Will an opossum under a shed or porch have a nest of babies? Will an opossum under a shed or porch have a nest of babies? It is common for opossums to find what they perceive as a safe space to give birth to their babies. This could be in a wall, in your attic, or under your shed or porch. The opossum may pick a spot on your property if they find that they have easy access to food and a dark, safe space for their young. Whenever you hear some sounds of scratching in your shed, it is possible that a mother opossum is living with her children in there. When this is the case, you have to make sure that you have the most humane and effective way that you can get rid of these opossums, making sure that nothing is going to hurt the children while doing so. The opossum will make a nest under the shade of the shed or porch since these animals like to have a protective place. In the wild, they may also make a home under dens or in caves. If your shed or porch does not experience a lot of activity from you or your pets, it is possible that an animal can decide to live in these places if they wish to have their babies. You do not have to be scared when you find out that an opossum made a nest under your porch or your shed. Just know that they see this as a safe space and are trying their best to protect their young. If you find an opossum on your property, you do not have to panic because they are not typically aggressive. If you are not comfortable with trapping and removing the opossum yourself, you should call the professional to help you get rid of them. Opossums may carry diseases which could be harmful to your family or your pets, and this is why they have to be removed as soon as possible. 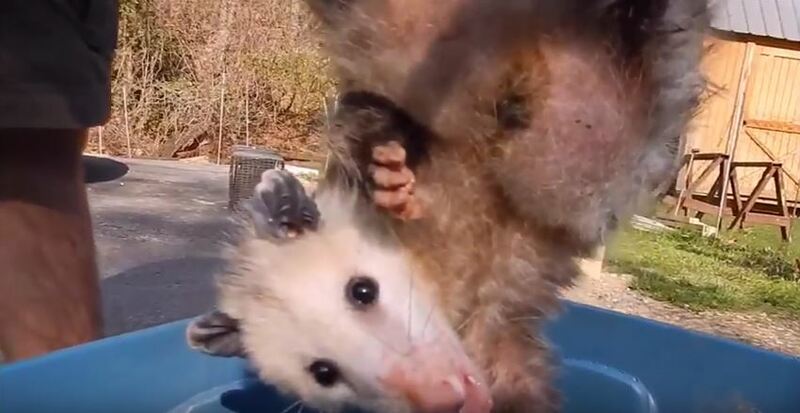 If the opossum has it babies with it, you should not try to kill it or kill the babies, but you should call a professional who will understand what to do. Opossums generally give birth to 6-25 babies per year. They can give birth one to three times per year. The most likely times that you will find baby opossums under your porch or shed is between January and July. This is when opossums typically give birth to their babies. Go back to the How to Get Rid of Opossums page or email us if you have any other questions about Will an opossum under a shed or porch have a nest of babies?